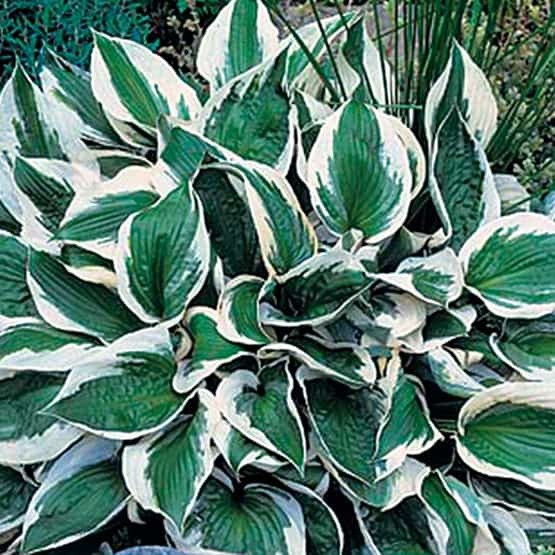 The leaves of Patriot Hosta feature dark green centers with white margins. 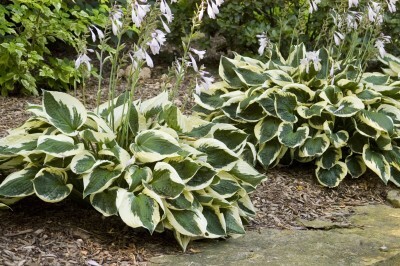 These large, variegated, oval shaped leaves form a neat mound. 30″ tall scapes of lavender flowers emerge in summer. Flowers attract hummingbirds and songbirds. Patriot Hosta has good sun tolerance. Plant as a specimen, border, or mass planting. Patriot Hosta is a sport of ‘Francee’ Hosta. It grows best in Part to Full Shade. It will grow to a height of 22″ and spreads to 30″. Plant in zones 3 to 9. Tolerates Black Walnut. Can be divided as needed in Spring or Fall. 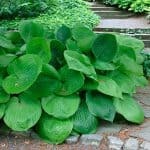 Hosta are low maintenance plants and are generally pest free. 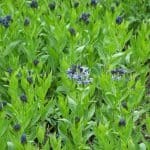 Easy to grow in average, well drained soil. 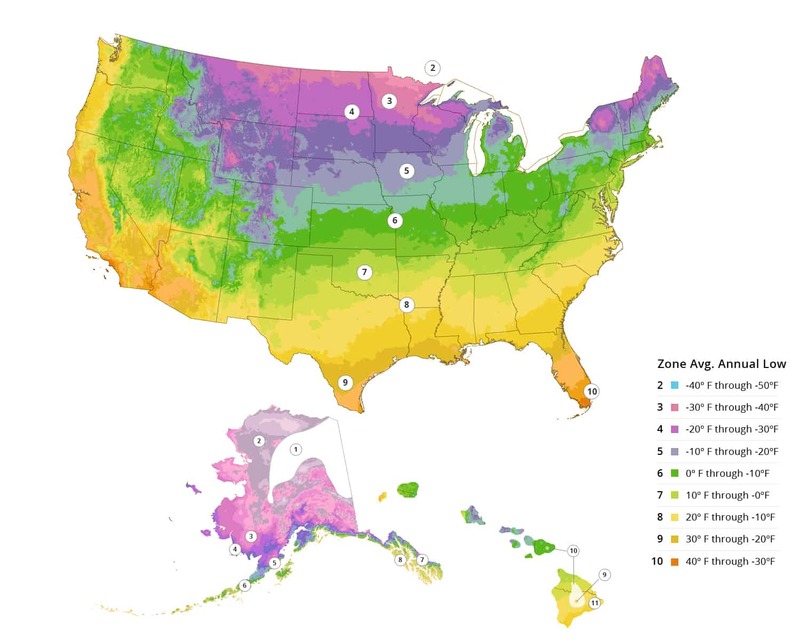 Provide consistent moisture during the growing season. Slugs are attracted to the foliage and can cause serious damage. Treat immediately with slug bait. Leaf spots and crown rot are also possible problems. NOT AVAILABLE FOR SALE IN THESE US STATES AND TERRITORIES: AK, HI, GM, PR, VI. Also, WE NO LONGER SHIP TO CALIFORNIA due to Department of Ag restrictions on live plants.